Since late last year, industry experts forecast a drop in mortgage refinancings as rates rise, and a revival of purchase mortgages, as the housing recovery creates business for lenders willing to work with buyers. The spring housing market is here and now the mortgage market is following. Purchase mortgages zoomed to their highest monthly market share since last August in Ellie Mae’s latest originations report, a sign that the mortgage business is shifting gears and the greatest boom in refis in recent years is ending. Loans to buyers made up 38 percent of all loans processed by the nation’s largest mortgage processing platform, up from 32 percent in February and 27 percent in January. 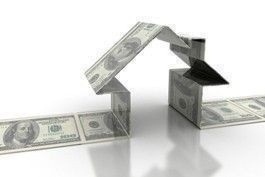 The Mortgage Bankers’ Association reported that the refinance share of mortgage activity was unchanged at 75 percent of total applications from the previous week. The MBA’s weekly Purchase Index increased 4 percent from one week earlier is at its highest level since May of 2010 and the adjusted Conventional Purchase Index increased 3 percent to the highest level since October 2009. However, the MBA’s Refinance Index also increased 5 percent from the previous week and is at its highest level since mid-January of 2013. For more information, visit www.realestateeconomywatch.com.